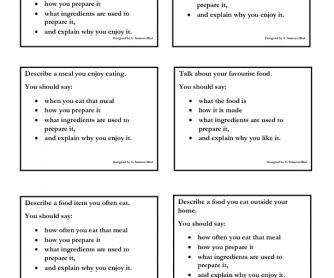 This file includes 6 speaking cards about food and how to cook something. 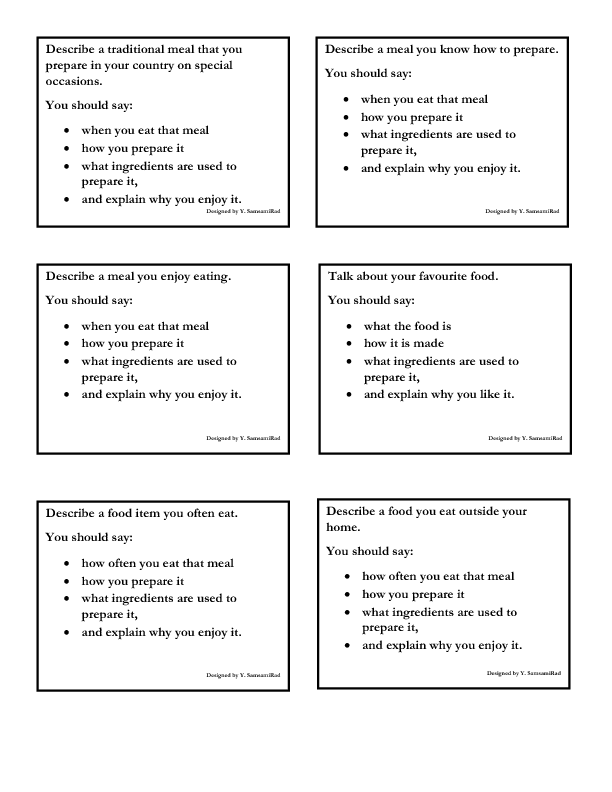 Give each student a card. Give them some time to think about the topic and then have them talk about it for 2 minutes. It is designed for pre-intermediate and upper levels. Hope it helps!